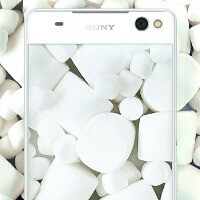 About a couple of weeks ago, Sony announced that its concept Android 6.0 Marshmallow build started rolling out to Xperia Z3 and Z3 Compact owners who have reserved a spot in the beta test program. Earlier today, Sony announced the first update to the beta Marshmallow build, one that brings along several new features. The first OTA update to Sony's Android 6.0 Marshmallow concept build, an ongoing project that serves the company as a test-drive bed for implementing the new Android version on Xperia smartphones and tablets, brings along three new features: support for more bitrates when playing FLAC audio files, MIDI support via USB, as well as tap-to-wake. Once your smartphone gets the update, the software build number will be changed to MRA58K.Z1.2085. Sony says that the OTA will roll out gradually over the next few days, so don't worry if your device has yet to receive the new features. Sony previously said that it will gradually add new features to its beta Android 6.0 Marshmallow build, which should allow the company to iron out all wrinkles before the Android 6.0 Marshmallow update starts rolling out to compatible Sony Xperia smartphones and tablets. We're keeping an eye out for new features, and we'll get back to you as soon as Sony has new updates to announce. So stock Android with some Sony apps? Pretty much. Stock Android with excellent camera app (and other Sony apps) and a couple visual tweaks. Looks pretty cool actually, though I like Sony's current UI. Phonearena: why don't you review the Z5/P/C? The Z5 and Z5C have been out for more than a month now! Here's a Z5c review, it's awesome lol. Been using it for about a week and so far it is phenomenal. This is the best thing Sony has ever done. I've flashed the marshmallow firmware on my z3 compact and it's as fast as a new phone. Smooth and clean UI.